Dribble twice then shoot — that’s Cassie Broadhead Devashrayee’s free throw routine and it works. Her free throws look flawless as they glide through the air with a perfect arch towards the basket. 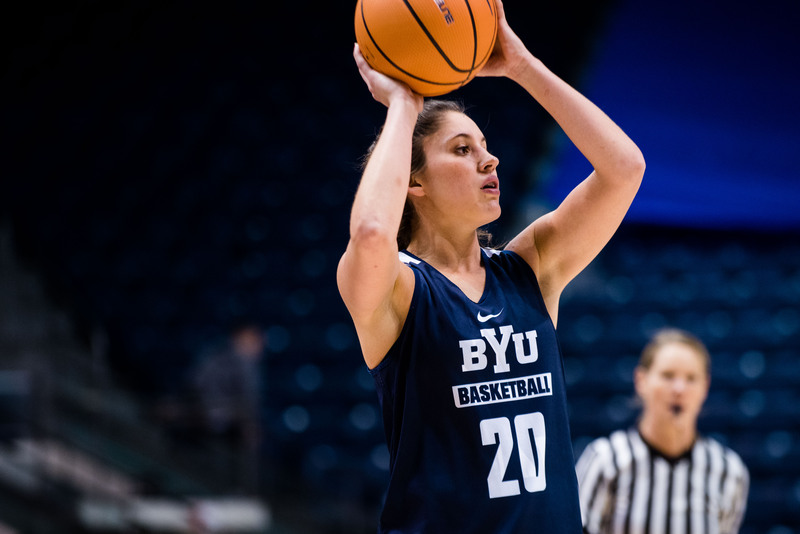 Devashrayee went a perfect 8-for-8 from the free-throw line in BYU’s 86-68 exhibition win against Colorado Mesa University; she was also the team’s leading scorer with 16 points. “I think what you see with Malia (Nawahine) and Cassie (Devashrayee), five-year seniors, is that calmness in what they can do,” said head coach Jeff Judkins. Devashrayee said that as a fifth-year senior, she will be leading the team more vocally this year than last. Devashrayee was named to the 2017-18 All-WCC Preseason Team and is the reigning WCC Player of the Year. She said that because of this, she puts added pressure on herself while others don’t. The pressure that Devashrayee puts on herself was made clear when she talked about the improvements needed during the game. Devashrayee has big goals for the team as she’s hoping to help the Cougars win a WCC championship and make it to the NCAA Tournament. The Cougars had 27 rebounds in the exhibition win against Colorado Mesa. They also forced 14 turnovers, which led to 16 points. 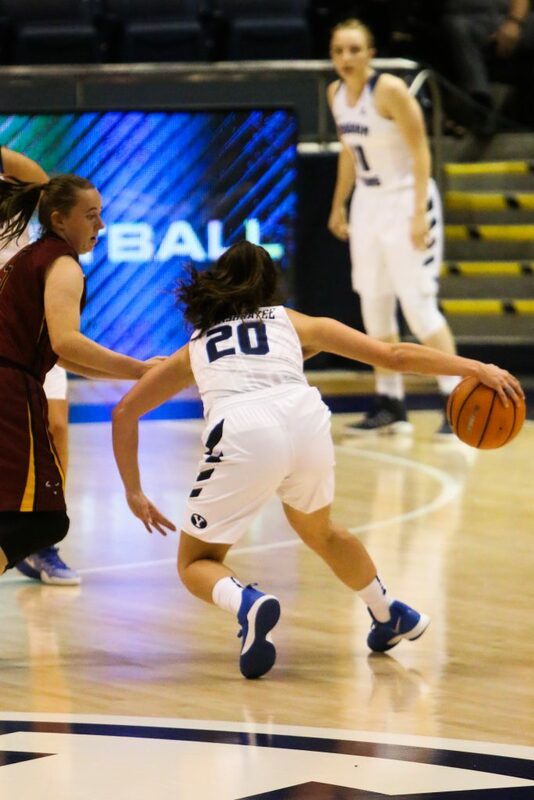 The Cougars’ first regular season game will be Nov. 10 at the Marriott Center against Southern Utah University. Tipoff will be at 7 p.m. MST.